Your baby needs nutrients, not chemicals! Liquid Health's Prenatal Multivitamin is a liquid supplement formulated with the help of doctors, midwives, and other medical professionals. Proper prenatal nutrition and care can help to promote a healthy pregnancy and baby. Breastfeeding and pregnant women need to meet the demanding needs of a growing baby. Most health professionals agree, that when taken daily, a prenatal supplement, along with a balanced, healthy diet, can help to provide the levels of vitamins, minerals, and nutrients that your body needs when pregnant or nursing. Liquid Healths prenatal vitamin is formulated to deliver the vital nutrients that both the babies and the mothers need. Liquid Health has included targeted levels of vitamins, minerals and nutrients to specifically nourish mother and baby. What makes Liquid Health Prenatal Multi different from the other prenatal multivitamins on the market? Prenatal vitamins help expecting and breastfeeding mothers support healthy nervous and immune systems, maintain energy levels, and help enhance bone health. Fatigue and stress can be major issues for pregnant women. All of the nutrients that a baby receives comes from the mother. If the mother is deficient in a vitamin or mineral then their baby's health can be affected. Liquid Health Prenatal Multi's comprehensive formula maximizes the nutrition of every woman, whether they are expecting or not. Unlike tablets or pills, Liquid Health's liquid prenatal is fully absorbed by the body. This means more nutrients are delivered to the womb, where it is needed most. Also unlike pills and tablets, there is no room for fillers or binders. You are getting what is stated on the label and nothing else! 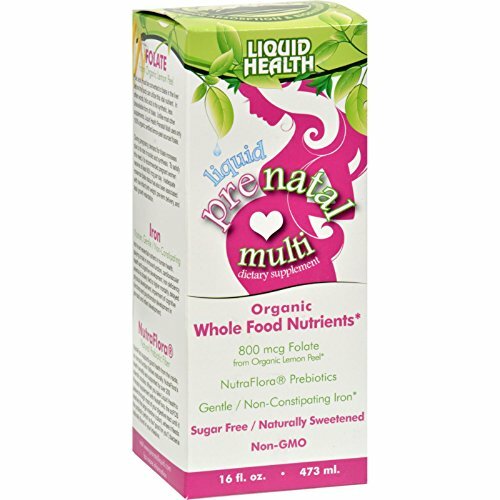 Using wholefood folate combined with natural vitamins and minerals, Liquid Health's Prenatal Multi is a great choice for any woman who is concerned with their health, as well as the health of their unborn child. Promote a healthy pregnancy and baby. If you have any questions about this product by Liquid Health, contact us by completing and submitting the form below. If you are looking for a specif part number, please include it with your message.